Robert Longo and Narciso Rodriguez collaborate to benefit Stephen Petronio Company. Click here to purchase the bag! Stephen Petronio Company, a leader in the American Dance field for over 30 years, is pleased to announce the introduction of a limited edition leather tote bag, designed by acclaimed fashion designer Narciso Rodriguez, incorporating iconic images by renowned visual artist Robert Longo and produced by Jill Brienza to benefit the Company. The limited edition tote was conceived by curator Jill Brienza and designed by Rodriguez with Longo’s two artworks from his Men in the Cities series. With the success of Longo’s Men in the Cities works, they have achieved an almost archetypal status. The work has penetrated the cultural consciousness and has been co-opted by the fashion world and commercial media for years. 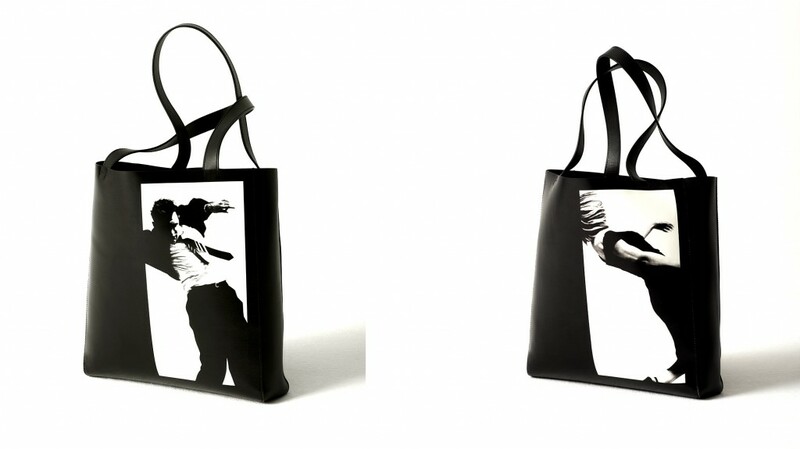 This will be Robert Longo’s first handbag collaboration. One hundred percent of all proceeds from the sale of the bag will benefit the Stephen Petronio Company. Stephen Petronio Company is renowned for collaborating with some of the most inventive visual artists, designers, and composers. Charcoal and graphite on paper, 96 x 90 in.